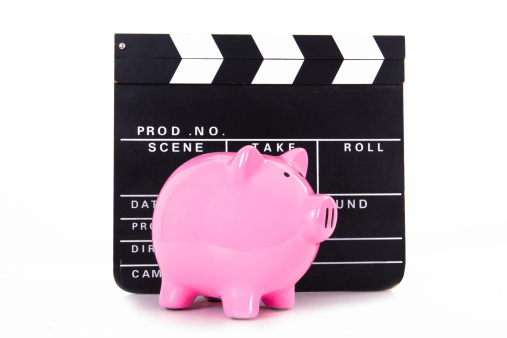 New fund allows customers to invest in entertainment products and have input into casting choices. The China e-commerce company Alibaba Holdings Group Ltd. is hoping that people will pursue their hunger for entertainment by investing in a new fund focused on entertainment products. The lure of Yu Le Bao, which means “entertainment treasure,” will be augmented by the potential to interact with the industry on more than a customer – or investor – basis. Investors and prospective investors are being told that they will have opportunities not only to meet with the actors in productions on the receiving end of funding, but also to have input into casting and directing choices. And the notion is enticing in a country where the entertainment industry is booming – in 2013, box office sales in China ballooned 27% to $3.6 billion, according to the Motion Picture Association of America. That dollar figure is more than any other country except the U.S.
Alibaba was already onto the industry as a potential investment. In fact, the company bought a controlling stake in March in ChinaVision Media Group. That gives it not just content for movies and TV, but also online gaming and sports. The online computer gaming market in China has been soaring right along with movies. While official Chinese government figures of 246% growth in online and mobile gaming in 2013 have been called suspect, research group China Internet Watch says that in 2014 the number of online gamers is projected to reach 141 million. That’s up from 68 million in 2009. And since the government has recently lifted a longtime ban on game consoles, growth is expected to continue through next year. Alibaba’s new fund works on a variation of crowdfunding, although the company has been careful to say that its method of raising investor funds is not crowdfunding at all. The reason for that is the Chinese government’s opposition to crowdfunding, which, depending on the structure of the mechanism, could instead be regarded as illegal fundraising. The company said in a Weibo post about the differences between Yu Le Bao and conventional crowdfunding projects that the latter offer neither returns on equity or investment nor profits for supporters. This, the company said on the Chinese version of Twitter, was the difference between Alibaba’s new fund and regular crowdfunding projects. And returns are just what Alibaba is offering. Yu Le Bao has promised returns of 7%, far above those offered by standard Chinese accounts, which are limited to a ceiling of 3.3%. That – and perhaps the overlay of show business glamour – has attracted plenty of would-be entertainment backers, who can invest as little as 100 yuan ($16.12) and up to 1,000 yuan via an app on their smartphones using Alibaba’s mobile Taobao platform. Morningstar analyst Peter Wahlstrom said that while he couldn’t comment on Alibaba’s new fund, returns on other entertainment investment products have been good. He pointed to the Invesco PowerShares Dynamic Leisure and Entertainment ETF (PEJ) as an example. PEJ has returned 244% over the past five years and 24% over the last year. Wahlstrom warned that investing in the entertainment industry could be “pretty cyclical – much like the overall U.S. economy, some is based on discretionary income and overall GDP, so [such areas as entertainment] tend to be a little more volatile.” And PEJ is not totally focused on the entertainment industry – but then Alibaba’s new product won’t be investing directly in entertainment vehicles at first, either. Instead, the money but will be channeled through insurance and wealth management products offered by Shanghai-based insurance company Guohua Life. The China Securities News has already criticized the product for a lack of transparency. But so far that hasn’t deterred investors. Some 240,000 people signed up and put a substantial amount of money into a total of four projects – three film projects and a social networking game – just in the first two days after the fund was announced. Of the films, one is an installment of the “Tiny Times” series, another is the film “Impossible” by Sun Zhou and the third is a movie adaptation of the 2004 novel “Wolf Totem,” to be directed by Jean-Jacques Annaud. The Chinese government may not be quite as enthusiastic as the people who seized the opportunity to have a little show-biz glamour brush off on them, since it may restrict Alibaba and similar firms that offer a little too much competition to state-run banks. Already banks have set limits on how much money their customers can transfer to online financial institutions, and officials in the government are considering stricter regulation of the online financial sector. While would-be investors eagerly awaiting the planned Alibaba IPO in New York will see the new fund as another potential moneymaker for the company, they had also best keep that lack of Chinese government’s lack of enthusiasm in mind. That could put a damper on the profit potential from a fund that, while it has already attracted a substantial number of investors, has drawn the ire of Chinese banks along with business from their customers. Yu Le Bao isn’t the only Alibaba financial product that has boosted the firm’s bottom line. The money market fund launched last June by the company’s financial services affiliate has already become one of the largest money market funds in the world at 500 billion yuan ($80 billion). The fund is called Yu’e Bao (“leftover treasure”). With such “leftovers,” Alibaba may be looking at a grand feast.